The Advisor's Journey to CRM Success, Pt. 2: When Does CRM Make Sense? So you've decided to adopt a CRM system, but which advisory firms will benefit most from adoption? 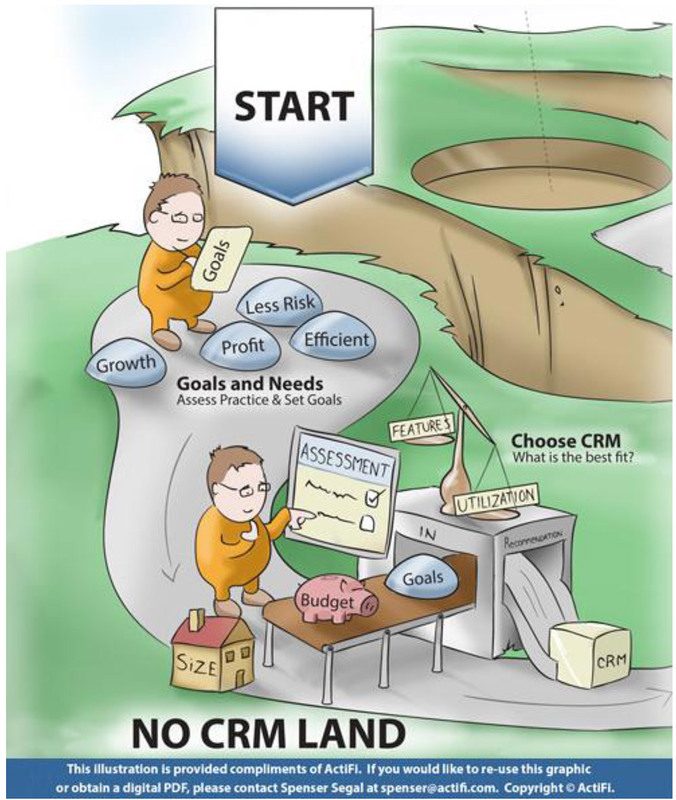 In my last post (The Advisor’s Journey to CRM Success, Pt. 1: Mapping It Out) we discussed a bird’s eye view of the Journey to CRM Success. Now it is time to start diving into greater detail on each of the stops along the way, starting with making the decision to adopt CRM. Making the decision to implement a customer relationship management (CRM) system is a big one. Before embarking on the rest of the journey, there is much to be considered, and here we will talk in depth about making the decision to move forward toward the platform selection process. When Does CRM Make Sense? Business goals, growth projections, process efficiency, scalability, risk tolerance, human capital and many other factors play into the decision to move forward with CRM. For a CRM to be successful it must enable you to achieve an important business goal. A business that has aggressive growth plans and enough human capital to properly support development, implementation and training for CRM will almost certainly realize its benefits. Undertaking the Journey to CRM Success will be most attractive to companies where there is a driving need to change the current situation and achieve an important business objective– for instance, goals for growth in the coming years or improvements in profit through increased efficiency. Because implementation of a CRM represents an investment in both money and time, its implementation is most often undertaken by companies that have the time and resources to support it through the early phases of the process before direct benefits can begin to be realized. Human Capital in particular is critical to finding success with CRM. From the very beginning of this journey, having team members that deeply understand the needs and operations of the business and can bridge those needs to what CRM technology can provide (with the assistance of vendors and an implementation partner) will significantly improve the odds of success. Carrying forward throughout the implementation process and the lifetime of the CRM program, these people are the ones who will provide leadership and support for the rest of the organization. As a best practice we recommend each firm have at least one (ideally two or more) champion(s) who have a deep level of understanding and responsibility for CRM adoption. All that has been discussed here is about getting ready to make the move out of No CRM Land – deciding to take the Journey to CRM Success. If you answered yes to all or several of the questions in the chart, you are ready to begin the process of CRM selection. In my next post I will discuss the process of selecting the right CRM for your organization, another important decision along the journey. Just like selecting the right vehicle for your vacation, your CRM choice can make it a challenging or pleasant ride.